Southend Boiler Cover For Southend Homes. 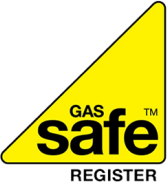 Gas Connect are a Southend based heating & boiler repair company. We provide boiler cover plans to our customers in Southend. Being local means we can swiflty resolve any problems you may have with your boiler so you never need be without heating or hot water. Choose one of our boiler cover plans for Southend and surrounding areas to get started. May we take this opportunity of thanking you for the excellent service received from your company and every aspect of this re-fit. Thank you very much for the splendid job your firm has carried out of installing central heating in our bungalow. Both your engineers were excellent, good humoured and have done a first class job. They gave me a full explanation of what they were going to do and were also very polite. I am writing to say thank you for the efficient service I recently received from Gas Connect. From the beginning, when I was given a quote for work needed and advice from you, to the completion of works, everyone has been very professional in attitude and service. Gas Registration No 198435. Gas Connect Heating Ltd. Registered in England. Company No. 4610301. VAT Registered. 802 8864 20 © Copyright 2005 - 2016 Gas Connect Heating Ltd - All rights reserved. Please read our terms and conditions. We regularly install central heating systems in the following areas in and around the Essex area plus parts of the South East of England.